On July 4th we should reflect on our independence and the words of the Star Spangled Banner. Francis Scott Key wrote the words 200 years ago, in September, 1814, "And the rockets' red glare, the bombs bursting in air," Gave proof through the night that our flag was still there." The Defense Department is now importing Russian rockets and Chinese missile fuel. The Pentagon imported thousands of American flags until Congress forced it to use domestic suppliers of the good old Red, White and Blue banner. The United States is now dependent on Russian rocket engines to launch military satellites, and relies on Chinese rocket fuel for Hellfire missiles. This not only weakens the U.S. economy, it directly threatens our national defense. The United States military has been significantly weakened, not by the Iraq or Afghani wars, but by its own reliance on foreign suppliers of rocket engines, fuel and other critical military parts. The Defense Department signed a contract with United Launch Alliance LLC, a partnership of Lockheed Martin and Boeing. 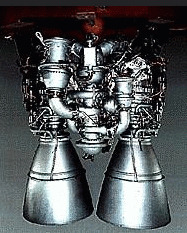 United Launch Alliances uses the Russian-made RD-180 engine on Atlas V rockets. When a U.S. National Reconnaissance Office satellite lifted off into the sky above Cape Canaveral on April 10, 2014, the rocket's ultimate destination in space and the satellite's purpose were all kept top secret. But there is a strong possibility that the intelligence satellite launched that day will be used to monitor movements of the Russian military which remains massed on Ukraine's eastern border. That was not the mission's only connection to Russia, however. The RD180 engines that powered the Atlas V rocket off the launch pad were built not by one of the U.S.'s domestic aerospace companies, but by Russia's NPO Energomash. In retaliation for our sanctions against Russia, Dmitry Rogozin, Russia's deputy prime minister, announced that Russia would no longer allow export of RD180s to United Launch Alliance. Space Exploration Company, known as Spacex, a relatively new American rocket manufacturer that supplies NASA with rockets, produces rocket engines in the United States. A recent study by NASA and the Air Force finds that it cost about $440 million for SpaceX to get from a blank sheet of paper to the first Falcon 9 launch, a small fraction of the cost of NASA launches. SpaceX was the first private company to launch a rocket, the Falcon 9, that docked with the International Space Station.